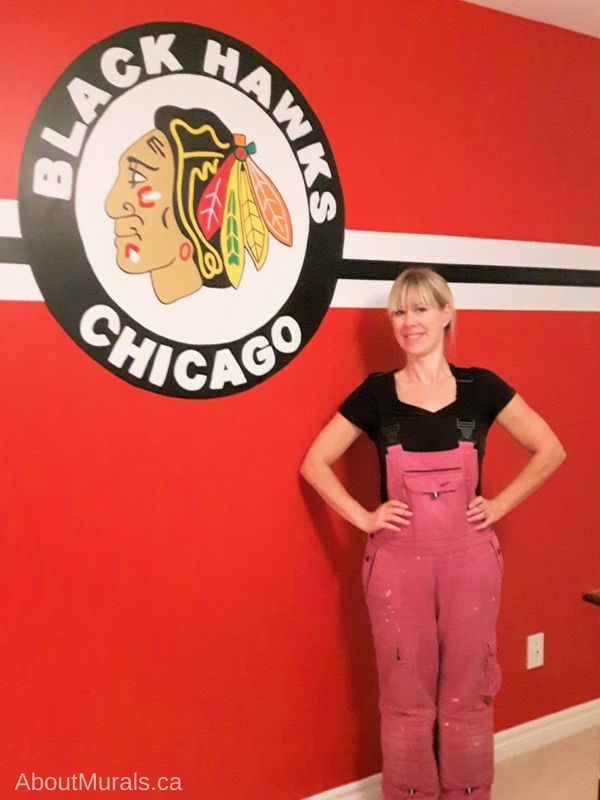 Although this Chicago Blackhawks mural was painted in Caledon, Ontario, I also sell cool hockey wallpaper murals that ship for FREE in Canada and the USA. They are super simple to hang and totally removable when you’re ready to redecorate. 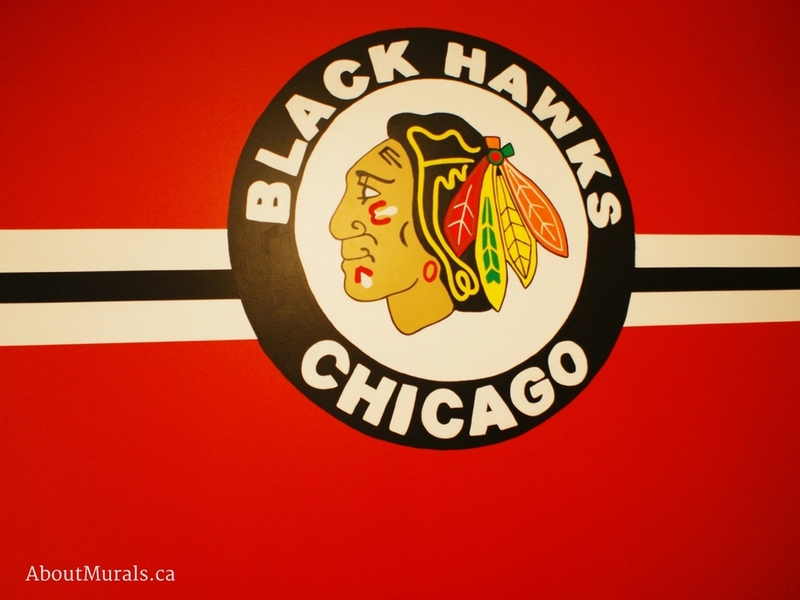 Thinking of a Chicago Blackhawks Mural? Here are some photos of a hockey mural I painted, to help inspire you. This lucky little boy’s dad painted the red hot walls before I came in to paint the Chicago Blackhawks mural. If you’re not the DIY type, I do offer these services as well. I only use no-VOC latex paint so it’s safe for your kids to sleep in their rooms the same night their mural is finished. I also painted horizontal stripes on each side of the mural, that spreads across the entire wall. This Chicago Blackhawks mural is larger than life at about 4′ in diameter. If you’re thinking of a hockey mural and you like my work, you can hire me! Do you love a hot coupon code or finding amazing sales? Join my newsletter and you’ll save a bundle!